Drupal is as one of the leading Content Management Systems (CMS). Running on PHP, it has been helping several end-users manage their websites easily, while also powering several sophisticated and robust social media platforms, e-commerce outlets for various brands, etc. Highly customizable, Drupal comes with a huge set of advantages for any online CMS, and can suit varying budgets and requirements easily. At Outsource2india, our Drupal developers come with extensive skills and experiences to ensure best development results. Each project that we undertake is woven around convenience and helmed by dedicated Drupal resources, within your budget, and within a strict deadline. Our Drupal development team is highly proficient in Drupal CMS website development, Drupal e-commerce development, Drupal custom template development, Drupal custom module development, Drupal module installation, and development for the Drupal community, Drupal blog development, Drupal newsletter designing and much more. At O2I, we believe that every business has its own unique personality. Consequently, our Drupal developers come up with solutions that don't just fit your business requirement but also helps you create a highly targeted platform to reach your designated audience. All professionals in our Drupal team are experts in their own domain. Every member of our staff comes with a minimum industry experience of 5 years, and we have been collectively responsible for several unique websites that have taken our client's businesses to a whole new level. An aesthetic web design is the first thing that will catch the attention of your audience. Be it a website or a web application, a unique and highly functional design would be the first step to success. Our Drupal designers will be able to come up with customized Drupal templates that deliver user-friendly experiences. Our dedicated Drupal developers would be able to develop customized themes as per your requirements. They will also be able to skillfully integrate third party themes, convert PSD templates to user-friendly Drupal modules, etc. Every Drupal theme from our desks is highly scalable and accommodates the growing requirements of your business. From design to deployment, our Drupal web developers will see that you are given the best solution worth your money. 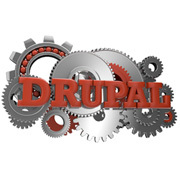 We also take care of the maintenance, troubleshooting, and support of your Drupal website. Our Drupal developers can come up with creative solutions for any industry niche and brand and offer a customized solution based on your requirements. Why Hire Drupal Developers from Outsource2india? Outsource2india is a leading service provider of IT staffing solutions and developer outsourcing. We have been working with several global brands for the past 20 years now and our clientele spreads out across industry verticals. Along with Drupal, we also provide bespoke services for other open source content management systems such as Joomla, SugarCRM, Ruby on Rails, PHP Programming, and MEAN development services. Our highly customized and uniquely tailored solution is the one thing that makes our Drupal development services stand out against our competition. Contact us today for all your Drupal developer staffing needs!